Instead of blank sheets, create beautifully designed and informative letterheads with your business information and send them to your customers, colleagues, and employees. If using a colored background, keep it subtle so the message will be easy to read. Available in full-color printing on one side, or both sides. Display your brand's identity clearly on each piece of your correspondence by ordering custom letterhead from GotPrint. Whether you are communicating with current clients or sending out a large direct mailing order to attract new customers, high-quality letterhead reflects your company's commitment to excellence. In addition to choosing your paper size, you can customize the front of your letterhead or make a statement by selecting double-sided printing. All GotPrint letterheads are printed on 70 lb. Opaque Smooth White paper using high-quality, full-color offset printing to maintain our high quality standards. 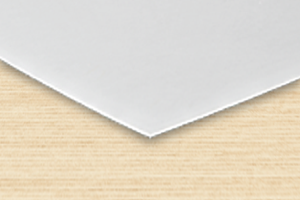 Your letterhead will also be compatible with both laser and inkjet printers. 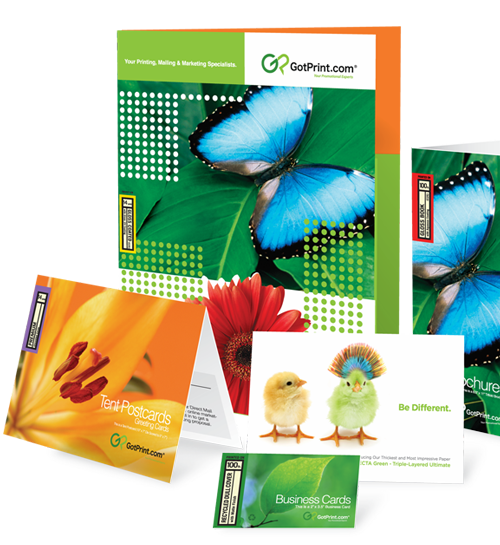 If you would like to see the high quality of our paper and printing in person, request a complimentary sample kit here at GotPrint.com. If your letterhead is already designed, you can easily upload it to GotPrint.com using the Upload Your Design feature. Personalize your letterhead by adding your logo and graphics, or choose from our large selection of customization options and archived graphics through the Online Designer tool. Our user-friendly website makes it easy for users of all skill levels to create attractive letterheads. Customers who need some extra assistance can choose the Design Services option to have their letterhead designed by a talented member of our professional design team. A single-sided design starts at at a very low, affordable price, and this fee includes up to eight revisions to ensure your satisfaction. When you choose letterhead printing online at GotPrint.com, you will enjoy the convenience of being able to design and order your letterhead from the comfort of your home or office. If you have any questions, our friendly customer service team is here to answer your questions and guide you through the design and ordering processes. Since your first letterhead printing order is covered under our money back satisfaction guarantee, you can place your order with confidence today. All of our paper stocks are premium, so no matter what you order, we're sure you will be pleased with your high-quality product. We require a .125" (1/8") bleed.